The general purpose of adverting is to convey a message directly and effectively about a product or service; often the best way to do this is to strip things down to the bare essentials. Minimalism has long been one of the most powerful trends in advertising, and with the broadening dominance of digital media, print ads must speak to their market quickly and efficiently. 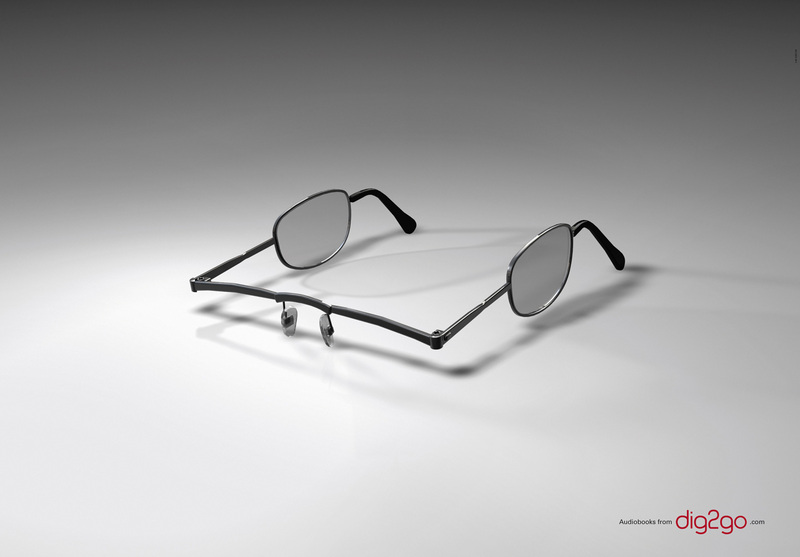 This post brings together a selection of 20 minimal printed advertisements, stunning examples where less is most certainly more. This charming minimalist ad compares compressing data on to a SanDisk Flash Drive with the beguiling art of placing ships in glass bottles. Boysen Paints boast environmental certification in acknowledgment of their efforts to reduce the ecological impact of their products. This beautiful ad links the company to nature, with a colourful splash of paint forming the petals and pollen tube of a hibiscus flower. This wonderful minimalist design reflects the power of Lego’s famous building blocks to fire the imagination, with an incredibly simple arrangement of cubes creating a submarine’s periscope emerging from the deep blue sea. Scarlett Johansson adopts a Marilyn Monroe-style pose in this ad, with a minimal, milky colour scheme, drawing attention to Dolce and Gabbana’s red lipsticks. 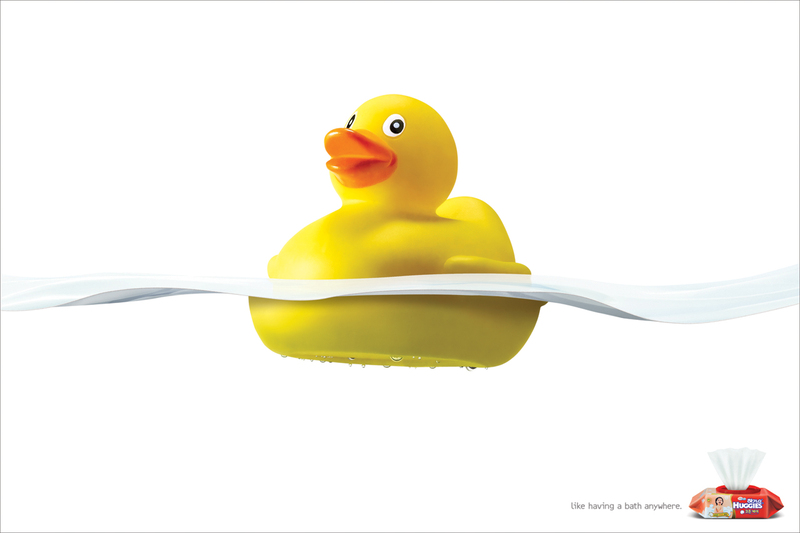 The Canadian Paralympics Committee employs a no-nonsense approach to this advert for the 2010 team, emphasizing the athlete’s strength and confidence. This early ad for the Nintendo Wii is minimal in the extreme, giving very little away about the console other than the statement ‘playing – believing’. There has been some dispute about the authenticity of this advert, apparently taken from the pages of a German games magazine, but if real it is a brave and intriguing piece of print advertising. Dutchman MC Escher was, and still is, one of the most popular visual artists of the 20th Century, famous for his mathematically inspired prints of impossible architecture. This ad places Volkswagen’s 4Motion vehicles in the gravity defying forms of an Escheresque construction. Unusually for a car ad, this minimal design doesn’t feature the vehicle itself, but instead shows a stitched-up road apparently damaged by the ‘unkind’ wheels of the Subaru Impreza. This ad for McDonald’s McCafe coffeehouse subsidiary features a coffee bean in the shape of a burger. This minimal ad is from a series that reflects on the integrity and importance of the Chicago Tribune’s journalism, laid out with simple phrases and illustrations. The surface of the design, constructed with pages of the newspaper, has a pleasingly handmade feel. 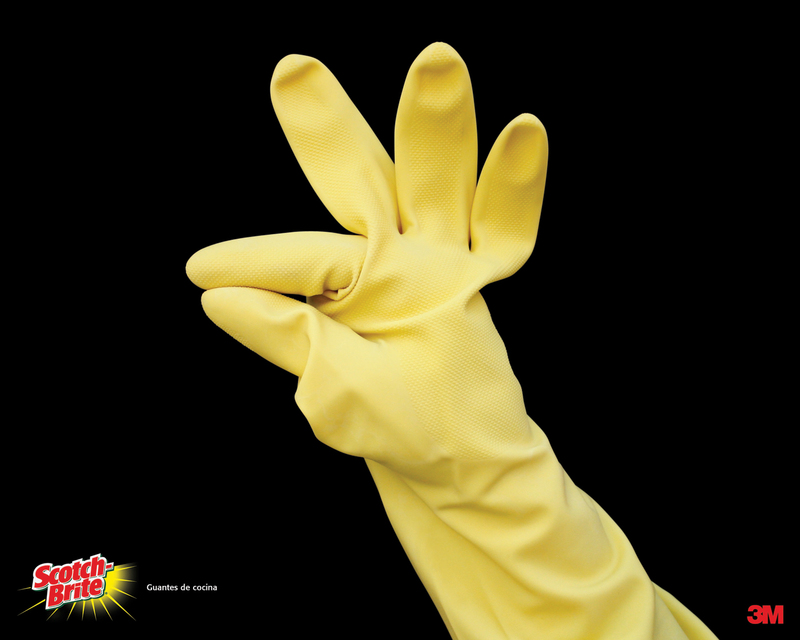 The message behind this ad for 3M’s Scotch Brite rubber gloves is somewhat ambiguous, but the simple design is minimalist and fun nevertheless. This superb ad for FedEx merges New York’s Statue of Liberty with Christ the Redeemer in Rio de Janeiro, signifying the company’s intercity logistics. Stihl make real chainsaws and outdoor power tools, and this sublime print ad is almost subliminal in its minimal design. A circle saw is busy cutting the shapes of stairs and landings from solid blocks of concrete. A twist of lemon peel is set against a plain, pale background, with the fruit skin forming the distinctive shape of Coca-Cola’s classic letterform. The ad is for Coca-Cola Light Lemon, a soft drink launched in 2005, and discontinued in the UK later in the same year. This minimal ad concept is for Dig2go audiobooks, which, as the design suggests, enables listeners to read with their ears. In 2007, a piano recital of compositions by Rachmaninov was performed in memory of the 9/11 attacks on the World Trade Center in New York. 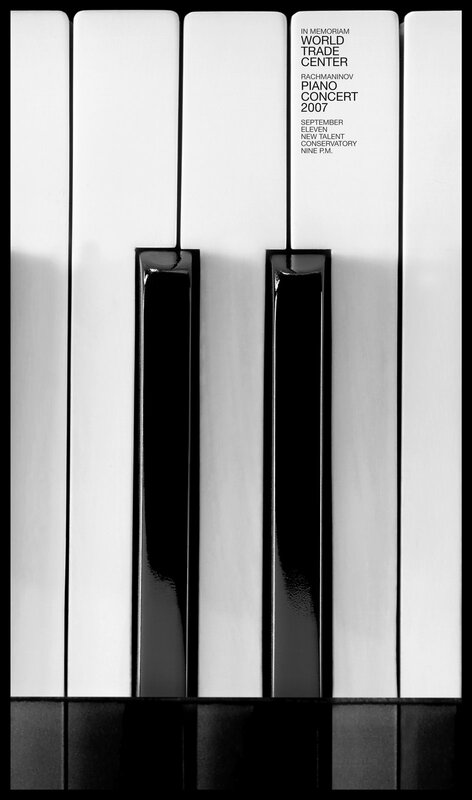 This advert for the event cleverly and sensitively uses piano keys to echo the outline of the Twin Towers. 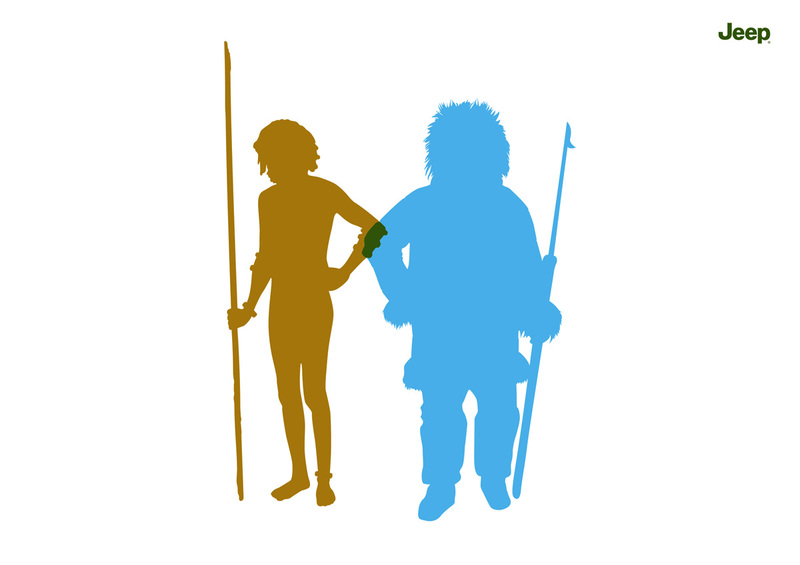 The silhouettes of an Eskimo and Bushman merge in this minimal ad, with the cross-over discretely forming the shape of a Jeep 4×4, suggesting the vehicle is suitable for adventure at all ends of the Earth. This ad for La Bicycle’s folding bikes is pure minimal simplicity, a folded sheet of white paper representing the ease of collapsing and constructing the cycling machine.